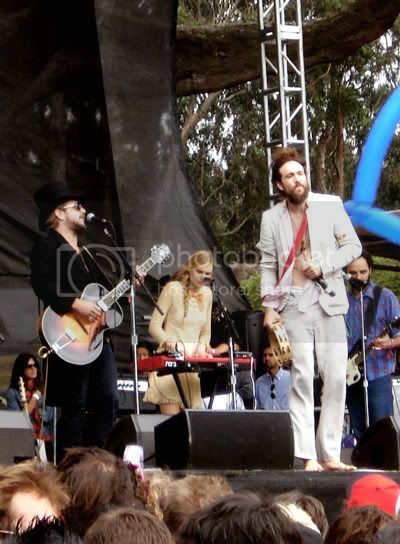 Nestled deep in the woods of Golden Gate Park, Edward Sharpe and the Magnetic Zeros set foot on the Twin Peaks Stage Sunday afternoon, declaring "it is a miracle to be here." And indeed, it was a miraculous day for this FYM reporter to even be attending this years festivities. Catching the last flight out of Seattle Saturday night, FYM Art Director J Codling flew down to San Francisco, where he was greeted with a free pass to Sunday's events, thanks to Mike at Yonas Media. Barefoot dancing to the magical mystery sounds of Edward Sharpe and the Magnetic Zeros at Golden Gate Park, San Francisco USA was truly a mystical moment. Opening with their most heroic tune "40 Day Dream" lead singer Alex Ebert painted his melodies on the canvas of enthusiasm emerging from his followers. The set was full of musical enlightenment, rambling pitch-perfect stories of self-discovery and happiness. 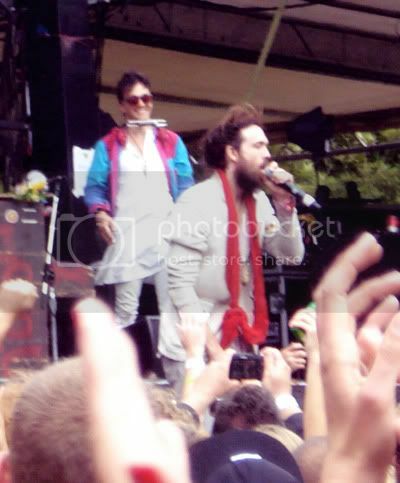 FYM has worked through the fact lead shaman, Alex Ebert, once fronted Ima Robot (terrible band). The Magnetic Zeros tunes surpass any judgement. Ebert and co-vocalist Jade Castrinos (she needs to bestow her beautiful voice more on their next record!) most climatic classic Home, created a unified scene of waving arms, and bittersweet emotion resonating through their congregation of listeners. 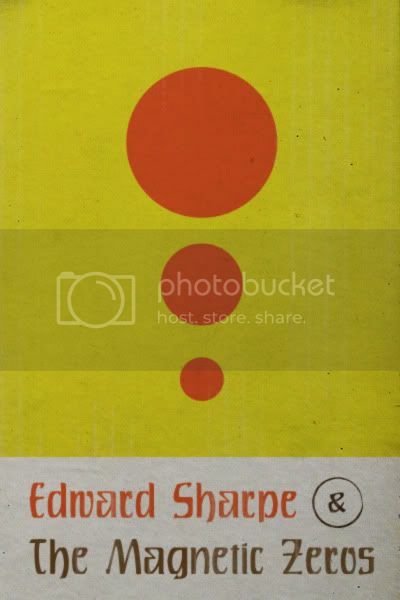 Just as if we were listening to the album verbatim, Edward Sharpe and the Magnetic Zeros closed with a waterfall of meditation, Om Nashi Me, apparently sanskrit for "oh infinite nakedness," what a beautiful thought. What makes this band so special is their ability to move audiences of any size. 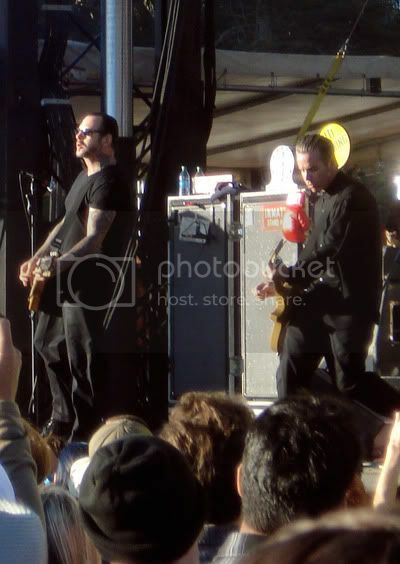 There are very few bands that can get their point across to a massive amount of people at once, and on a sunny afternoon in Golden Gate Park, they accomplished this feat. 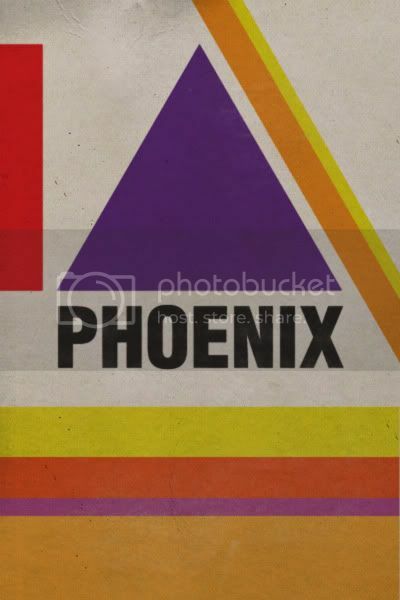 Speaking of bands that surprisingly venture well during massive live performances, we have Phoenix. Several years after we caught their debut tour in the U.S. at POP Scene in SF, we found ourselves rockin' out to tunes off their tremendous commercial success Wolfgang Amadeus Phoenix, on the main stage. 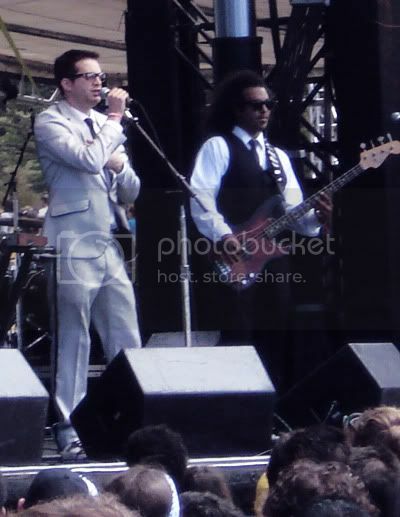 Phoenix played a selection of jams mainly focused on their latest release, to an eclectic group of onlookers. Lead singer Thomas Mars, moved like a major player, commanding attention through set climbing, stage diving, and sincerely smooth french vocal abilities. Catch Phoenix live asap, as they are finishing out their tour and taking some time off soon to record Wolfgang's follow-up. 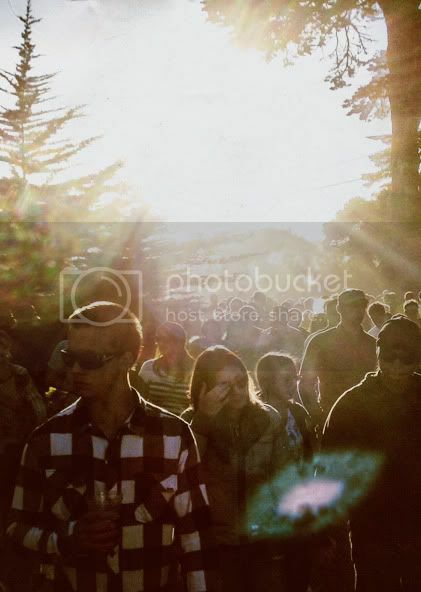 As a whole forYoungModerns experience at San Francisco's Outside Lands Festival was truly a special event. 80,000 people coming together in the woods of Golden Gate Park felt historic, and it helped to raise 3 million dollars for the local Parks and Recreation Department. FYM has never seen another fest that passes out free cookies to thank attendees for supporting their park (only in San Francisco). 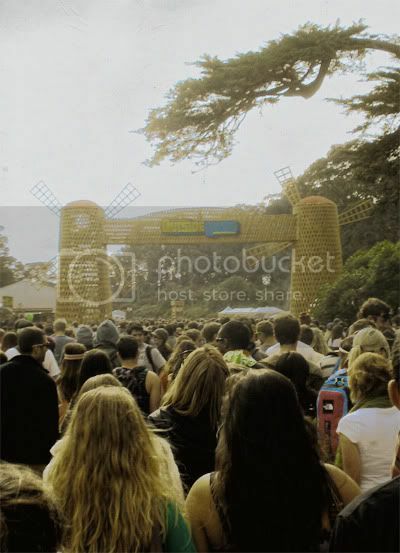 So next year (Outside Lands 2011), Save up all your bread and fly Translove Airways to San Francisco, USA then maybe you'll understand, how special this annual event is. Translove Airways... that's the one completely run by transvestites, right? The beginning and end of the article are lyrics taken from Eric Burdon's San Franciscan Nights. And no I don't think he was talking about an airline full of trannies, but that is quite a visionary idea..